Europe, America, Asia or any other part of the world, horse riding is a favourite sport, pastime and in some places an essential means of occupation. However, riding a horse does not mean simply sitting on its back and holding the reins as there is more to it. It is a science, an art and involves specific methods and styles. There are many types of horse riding styles but mostly the Western and English styles are more predominant and prevalent. If you are a beginner and just started learning horse riding then it is natural that you will be curious to know about the differences in the two styles of riding a horse. 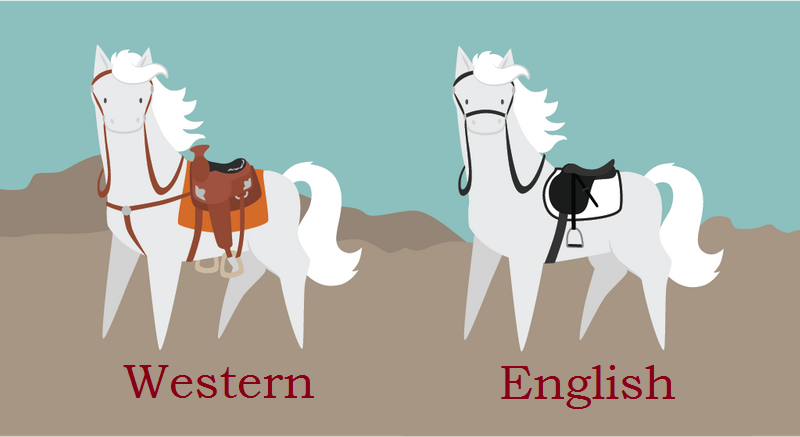 However, the fundamentals of riding are very much similar for both English and Western riding styles. You will be glad to know that one specific style is not more difficult to learn than the other. Apart from that, you must also know that whichever style you choose, it takes time and a lot of practice to become very proficient in either of these styles. It needs dedication, commitment and passion for whichever training lessons you wish to take up. While talking about different styles of horse riding NYC, it is best to start with the equipment first. Modern saddle styles are designed to help in speed games, roping, equitation and other sports. These saddles are certainly not all-purpose ones. It is specially designed so that it does not interfere with the movement of the horse yet provides a safe and secure seat for the rider. Apart from the difference in equipment, there is a significant difference in the type of horses as well for the western and English style of horse riding. Western horses are more compact and therefore are more capable of steady travel for a long time sometimes even all through the day. These horses are also capable of small and sudden bursts of speed if the rider wants to chase stray cattle. Horses used in the English style of are taller and are leggy. This helps the horses to travel over a long distance at different speeds. It also helps the horses to jump over any type of obstacles that may come on its way. Western horse riding NYC and English style also have a significant difference in the gait of the horse. Usually, an English horse will have a specific way of moving in a long flowing way. There will be variations in its speed, collection and cadence. On the other hand, a western horse will low, consistently and smoothly. 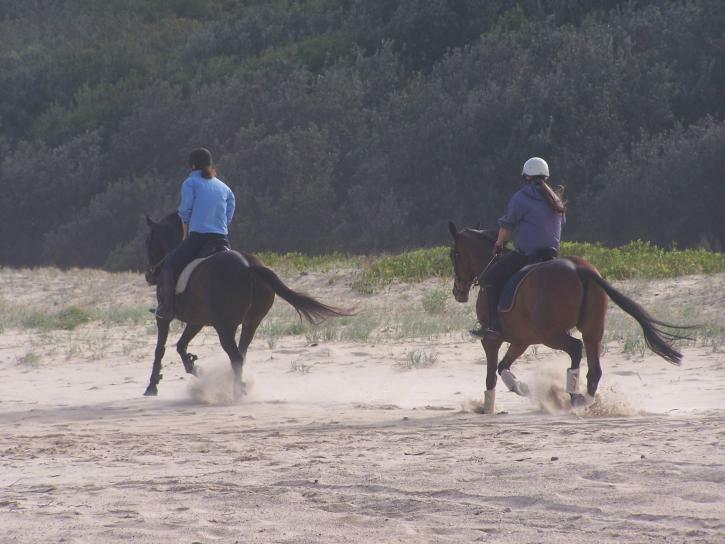 A jog in western riding is usually very smooth and relaxed. It is a little bit faster than walking. This is usually used when the cowboy follows the herds of cattle. Riders usually sit on a jog and do not post. In English riding, unless a sitting trot is required a trot is usually posted. When a faster trot is required in western style it is posted at two points. Lope in the Western style resembles a relaxed canter while the English style involves an extended and elevated lope with different variations in speed that depends on the specific discipline followed. However, the most significant difference is in the attire of the two styles of riding. In the western riding, the most essential and signature element is the traditional hat, jeans, a comfortable shirt and western style boots. Few western riders may even wear sporty helmets when showing. English riders, on the other hand, wear traditional hunt cap or helmet, well-fitted jacket, breeches, shirt and tall boots. There is also a noticeable difference in the basics and riding disciplines. The western riders learn the ways to neck meanwhile the English riders hold the reins in each hand while posting the trot. There are also differences in braiding the mane, pulling a tail and in other grooming methods depending on your needs. There are several different sports you can try depending on the riding style you follow. As for the western style, you may compete in cutting, team penning, speed games, reining, trail classes, roping, and trail riding apart from pleasure and equitation classes. As for the English style you may compete in dressage, jumping, English country pleasure, hunting, mounted games, hunter pace, and polo. There are a few sports that can be played irrespective of the style of horse riding you follow. These sports include trail riding, competitive trail riding, endurance racing, and competitive mounted orienteering. As a learner, you may tend to think now which horse riding style will be easier for you to master. For a few specific factors, the western style is much easier than English style of horse riding. The primary reason for it is the larger and broader saddle that ensures more safety and security for any novice. In English riding, you are taught how to post to the trot in which the horse will spring from one to another diagonal pair of legs. However, if you start with English style you can easily adapt western style while that cannot be said conversely.